We’re thrilled to announce the Space Apps 2016 Global Award Winners!! These projects well represent the best of the best innovative thinking this year. Congratulations to all the teams. We look forward to seeing you at an upcoming NASA launch in Florida. Best Use of Data: Scintilla, created at the Space Apps Pasadena, California main stage event, mitigates the impact of poor air quality in the global community by democratizing air quality data collection. Leveraging social media and text analysis, the Scintilla web portal collects and displays real time human sentiment on air pollution. Scintilla solves the AirCheck challenge to develop an app or platform to crowd-source data on environmental factors that affect human health. Best Use of Hardware: Canaria, created by a team at Space Apps London, is a 3-D printed earpiece designed as a lifeline to the wearer, simultaneously monitoring heart rate, blood oxygen, and atmospheric CO2 levels. Named after the canaries used by Victorian miners as a warning system in areas of dangerous air pockets, Canaria has an audible danger threshold alarm to alert the wearer. Canaria solves the Rock-IT Space Fashion and Design Challenge to create out-of-this-world fashion with function that will collect or distribute data through technology to provide interconnectivity, health, or entertainment. Best Mission Concept: FractalNet, created at Space Apps Greensboro in North Carolina, is a network of wireless devices to provide communications in a subterranean Earth environment, such as caves or lava tubes on the moon, Mars, or asteroids, where radio communications are not possible beyond short line-of-sight distances. Key to the concept is the Data Glove, the link between mobile nodes and base station. FractalNet also solves the Rock-IT challenge. Galactic Impact: Live Ice Velocity Estimation (L.I.V.E.) Glacier Project, created at Space Apps Rome in Italy, is a web tool that provides near real-time visualizations of glacier surfaces, an indicator of climate change, in conjunction with the GLANCY app to collect crowd-sourced glacier photos to support scientific analysis and awareness of environmental impact. L.I.V.E solves the Earth Live challenge to develop a web tool or app to leverage NASA/ESA satellite imagery and climate data to illustrate impacts of our changing Earth. 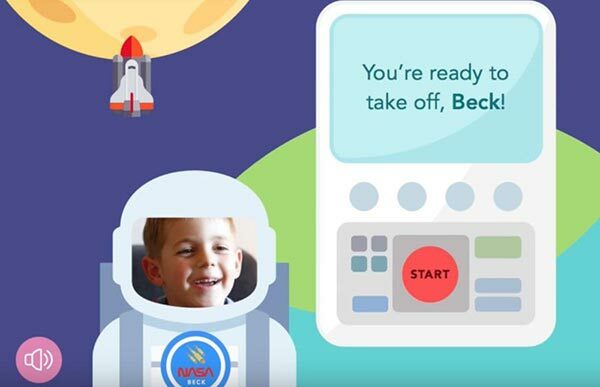 Most Inspirational: Kid On The Moon, created by a team at Space Apps Toronto in Canada, is an interactive app with a self-guided exploration of the Moon to inspire passion for space travel in children 4-8 years old and their families. This project solves the Book It To The Moon challenge to create an interactive app for children to use a smart phone or tablet to locate the Moon and unlock lunar data, images, and stories. People’s Choice Award: Mars Hopper, created at Space Apps Kiev in Ukraine, is a concept plane designed to investigate the Mars poles and its surroundings, using dry ice, or CO2, from the surface of the planet as jet fuel. Mars Hopper solves the Jet Set Mars challenge to design a conceptual mobility device to allow easy and rapid exploration of difficult Martian terrain. This post was originally published on the openNASA blog. Interested in participating in the Space Apps Challenge next year? Read Space Apps Behind the Scenes: Judging + Process. Is your agency considering hosting a challenge competition, or not yet sure which is the best route to take? Check out Challenge, Contract, or Grant – Which tool is right for the job?. You can also join a DigitalGov Community of Practice to connect with and learn from others in government, like Challenges & Prizes, Crowdsourcing and Citizen Science, and Mobile Gov.